Served in Germany 1945-49? In contact with someone who did? I am researching "The Hunger Years", Germany 1945-49. I'm particularly interested in the black market, what the German authorities tried to do about it, how the British dealt with it and so on. You might have stories of illegal distilling, or of food theft and sales. If you think you could help, or if you can put me in contact with someone who would like to tell their story, please post back. Alex, Welcome to the site. I would doubt if there is anyone who visits the site has personal memories of the Black Market days during the years you mention. It is highly possible that a relative may have letters/diaries from former serving pers. You are the first person I have come across who has brought up this subject since I joined this site in 2008! With the introduction of the Currency Reform in June 1948 to the Western occupation zones this brought the decline of the Black Market and the Economy started to recover, prior to this, cigarettes and coffee were the sought after commodities to barter with, supplied mainly by Service personel. Surprisingly, 3 years ago I researched one avenue of this very subject for someone who was searching for a 'named person', who may have been arrested by the military authories and sentenced by Summary Military Government Courts for Black Marketeering in the era you mention. In some cases listed, the German Court (Amtsgericht ) carried out the sentencing, at least for Hamburg area which I studied. Note: I don't know the reason for the two types of Courts. ie. German and Military. I have a feeling both worked as one! Maybe the Control Commision for Germany (CCG) decided to change the titel wording. Sadly, despite me toiling through many thousands of names of those who had been arrested, then released, fined, or sentenced to prison, I never found the person I sought listed. Many repeat offenders received massive fines and long jail sentences. Where should you start looking? For a start I suggest a visit to YouTube and enter 'Black Market WW2'. There you will find quite a lot as to what went on via News reports.. There is much on the Internet, there are lots published ie. books etc. Strange, only last week, I saw a book published in German, 1981, covering this very subject. (I'll look for it next Sunday for you. How's your German???). (I'll offer him a £1 for the book, if it hasn't been sold). The National Archives, Kew Gardens, London is a good source for files/letters regarding the Black Market. You will probably need some advice on how to access this information. There are persons who specialise in retrieving information from archives. The prices charged are not too high! Alex, is the information you seek for eg. a dissertation? I am not sure of the rules regarding publishing information gained from the National Archives, or naming those sentenced for Black Market trading, especially if you intend to publish for reward/gain! Someone from this site will probably offer a bit of guidance on this matter. Enough for now from me! 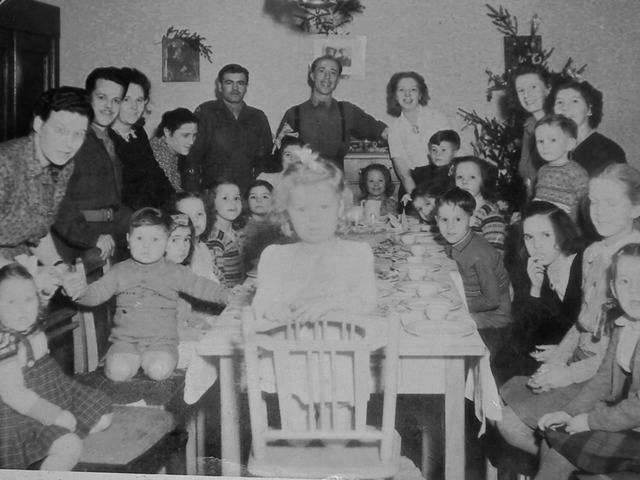 Photo 1 = A pre Christmas Party in our house in Bielefeld about 1949.You see my Father on the left front on his right my Dear Mother. Next couple are Mrs Lavers and here Husband SSM Lavers Garrison PTI. Next to him is Sgt ............. ! Royal Engineers and his German wife Elsie. That is little me 4th from the front right leaning on the table.My eldest sister Jackie behind me.My Twin sister Gillian and youngest sister Kay are opposite me. I noticed only a while ago my three sisters are all wearing the same pattern jumpers. Did my Mother buy 2 & get 1 free!! ...no don't think that happened in those days ..........OR Did it !!! Quite a few around the table are German friends from along the road. We used to have few of these gatherings during the year.Always invited the local German children to.They were really good friends. We use to go to their houses to.Love German Food.Although in those days they never had much to share. Well The UK were also still on rations...we to in the BAOR.as well But I still feel we did seem to get that bit more.As my dear mother told me. Kept well in with the local farmers. In turn they had a fair amount of cigarettes from us family's I do know for sure.Plus lots of black market going on with Petrol & coal. My father returned to the UK with two Leica cameras and a Rolliecord ! !Picked up quite cheap...again cigarettes had the bargaining power ! I remember to my Mother in 1947/8 use to exchange coffee /Tea and bars of soap for really expensive cutlery sets and fine china- ware. I did hear ...much later while I was serving in BAOR that at the end of the 50's that German cars Merc's etc were going back to the UK in truck loads. Also Boats from the north area(Kiel) were being bought for silly money and passed all over the world. Ref the above post that Len has once again kindly posted up for me. This is part of a story I am currently putting on my Regimental site(The Royal Dragoon Guards forum).So when I saw there was a mention of The Black Market on here I thought it might be of interest.I can also say now I saw and even the fact I was quite young remember these matters a great deal of strange things were going on at those times.My father was as most of you will realize by now as I have so many photos of those times was very interested in photography. He even had a officer friend who had his own dark room in his attic in his house in Bielefeld just up the road from us.They were developing & printing films by the hundreds.Only black & white.The enlarger was made from an old camera and other bits & pieces in the camp by two German men(Carpenters Dept).Again I suppose for an amount of Cigarettes or what ever..
Point I am making is all sorts of chemicals were needed as you would know.These were all obtained though the Black Market.Bought to the house by local German press workers from the local news paper offices etc by bartering with cigarettes, Coffee, soap, chocolate etc. The way I look at things the German people were in a very bad state and it sadly just had to happen . Hope I am not up setting any one here but these as most of us know are the facts. Well donkeys years ago long before money is that not how people did their trading.This for that. OK a lot took/take advantage during those times in The BAOR but there will always be those sort as there are now. Hope you all have a good week-end. Regards to you all and once again I thank Len for his super fast and very efficient help. I add.......Most of the films for cameras and for cine-film making came in from the American sector as I remember my father telling me many years later. Because I asked him why he never got to buy a cine camera.He just said that part of photography never interested him! I do have some super photos that he put into local Army shows in various camps.I will dig them out. Thank you for your interest and trouble, Alan. My father's posting was in Hamburg after the war. He helped to set up a regional newspaper which still thrives as Die Zeit. Although he died 20 years ago, a German TV company have contacted me to ask if I can track down veterans who had contact with the authorities chasing down black marketeers. I have had a couple of fascinating conversations with veterans with reminiscences around the edge of the subject, including the hijacking of a train! Nothing yet that touches the real heart of the topic, though. The TV company are searching for people willing to be interviewed for a documentary. I think that the veterans might find the experience of having their testimony recorded a rewarding one. Would you be happy for me to pass on your information to the German TV company (Moers Media, working on a documentary for the Hamburg public broadcaster, NDR)? They might be interested in coming to interview you. I will only do so with your permission. I was born in 1948, so can no offer no stories from my own experience nor did any of my family serve in Germany post WW2. The information I gathered was concentrated on one aspect of the Black Market ie. 'Court and Punishment' records of offenders in Hamburg. This work was 'Private in Confidence' so I could not go into any details. So it a No, to your invitation for an interview by anyone! Of course the details I collected are available for anyone to read from the National Archives (TNA) regarding the Black Market in Hamburg 1945 -1948, although I am not sure of the rules which apply to use of material from the TNA for gain or reward by TV companies! Sorry I couldn't be of more assistance. PS. Do let me know if and when NDR transmits the documentry, I'll be interested in viewing the programme. Alex............I will send you an email Monday with ref the above. Ref the above............have just sent you a P/email as promised. Ref our Telephone conversation of yesterday. I have left a mssg on your mobile this morning. Feel free to call me again this evening if you wish or when ever it suits you really. My grandfather, Svetomir Markovic who served in the Yugoslav Army from 1940 to 1942, arrived in Germany in 1941 and was there for about 7 years. He worked as a driver and then as a radio mechanic which was a job he had done for a short time some years prior. Interestingly, his address in Germany was Detmold, Kulterkaserne, which according to this website was the Lothian Barracks and belonged to the UK during this period. This information about my grandfather is according to Australian immigration archival documents. He immigrated to Australia in 1948 and gained Australian naturalization. He gave birth to two daughters and a son who gave birth to me. I'd be very appreciative of any light that can be shed on the information provided in this archival document. Unfortunately I don't have any more information other than he was injured during the war (knife to the knee) as punishment for many attempted escapes. 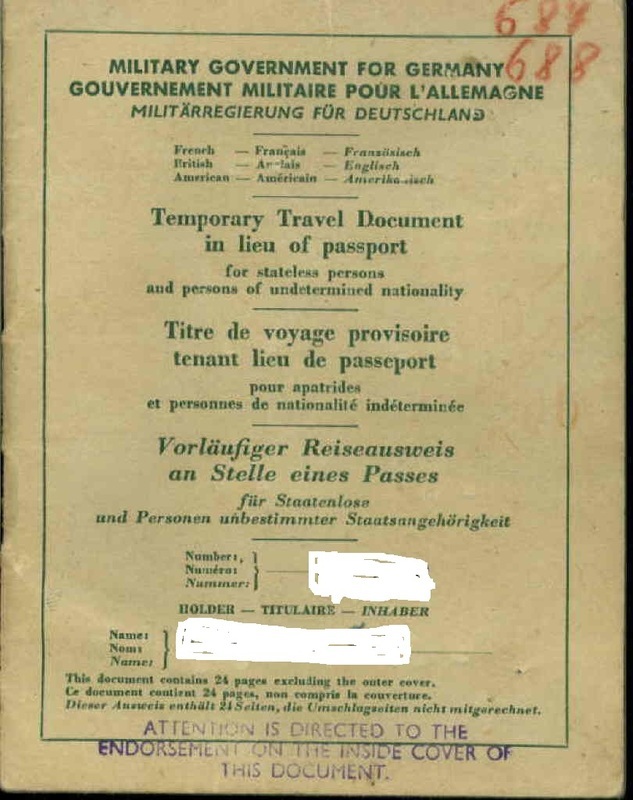 The document says he came to Germany as a PW from Yugoslavia. He talked very little about his time during the war, perhaps he had a secret to keep. But from this it would seem he was a prisoner of the Wehrmacht at Kulterkaserne until British occupation forces took it over and it became Lothian Barracks. According to the immigration documents he had no command of English but some command of German, so there must have been people there that could translate for him between German and English and possibly Russian or Serbian? And he found out of the opportunity to make a new life in Australia. I can say that my grandmother was also in Germany during this time. She was involved in the production and trade illicit alcohol (wine I supposed). I hope I can re-establish relations with my two aunts, they might have some more information. Again, I've love to hear any more information about this and hope what I've come up with is a contribution. I can't post links, but the document is public record. Go to recordsearch.na.gov.au , perform a basic search for Svetomir Markovic, click on the PDF icon next to item barcode 4813446. If someone could post the link to the PDF that would be handy, if not I'll do it after 7 days. Welcome, you have started a potentially very interesting topic. which contributors to this site may be able to answer some of your questions. A fair number are familiar with the Detmold area and I am one of a small group of amateur military history enthusiasts researching details of the British Army presence in Germany from May 1945 onwards though my particular area of interest is further north. 1941-2 Captured by the invading German Forces and sent to Germany as a Prisoner of War but in effect treated as a slave labourer working on farms probably in the Detmold (Augustdorf?) area. Housed in basic wooden huts not brick buildings. Spring 1945 Is liberated by the advancing American Army. Summer 1945 British Army assume responsibility for the Detmold area as part of the preplanned removal of all aspects of Nazism and the longterm establishment of a Federal System of Government. Refugees, both freed Slave Labourers, Prisoners of War and displaced persons fleeing from the Soviet dominated (Communist ruled) Eastern European countries such as Poland Ukraine or the new Tito ruled Jugoslavia were an enormous problem to the victorious Western Allies. They had no desire to stay in Germany. Many hoped to emigrate to either the USA or the UK but were generally refused unless they had particular specialist skills. The British however did encourage the young single and fit men to consider emigrating to Canada or Australia in particular, your grandfather must have taken up this option. Hope this initial response is helpful, will contact you again privately after i have collected my thoughts and looked again at my notes on the subject. Great response JPW, thanks. I wonder if there are any archival documents that could confirm what was going on during then and reinforce a likely time line for my grandfather. Perhaps there are some societies of Eastern Europeans with an interest in war history who can shed some more light. I look forward to making contact with you in PM. Thanks! Is Bad Salzuflen near the Detmold/Augustdorf area? According to is incoming passenger arrival card, my grandfather was issued with a passport in July of 1948 in Bad Salzuflen. My grandfather's naturalization application report form makes reference to a T.T.D supposedly attached to the report form but not included in the scans the archive office sent me. I'd love to get my hands on that document. I don't think so. I think T.T.D. stands for Temporary Travel Document. Looking at his IRO (International Refugee Organisation) Resettlement Medical Examination Form, it looks like he had little more than a physical examination and an X-Ray. Date of last immunisations section of the form had been left blank. He may not have even had a blood test performed, the date section in the blood test stamp has been conveniently left blank. I'd love to uncover that passport he was issued, no. 73666. If that was the T.T.D the naturalization report referred to then it's gotta be archived somewhere. I have a copy of a Tempory Travel Document for you to view. This document is one I down loaded from the Australian Archives in connection with some research for another family who asked for help on this site a few years ago. They to were also issued with a Temp Passport from Bad Salzuflen to Australia via Italy. Because the TTD I have on the PC has a family name on it, I should not display it on this site. I am however willing to send a copy to you with the family name removed so you can see what it looks like! Please send me your email address via the PM messaging function on this site to my email address. I will copy the TTD to you. PPS. . I have also had a look at the docs you have, which are held at the Australian Archives, which do not show the TTD as some others I have seen. I'm puzzled! Bad Salzuflen, as the many BAOR veteran contributors to his site know id fairly close to Detmold/Augustdorf. In the late 1940's it was the Headquarters of the Control Commission Germany , the British Civil Service equivalent, sponsored by the Foreign Office in London. All official Travel Documents authorising civilian overseas travel sponsored by the British Government would have originated there. Alan, JPW, fascinating! Certainly I need to look into this further. Thinking about it, this main seem obvious but, assuming the passport 73666 issued to him was the T.T.D referred to in the naturalisation form, he had kept it in legible condition from when he disembarked in 1948 to when it was retained by an officer on 28/9/1954, a good number of years. Here is the front page of a TTD. I suspect it would have been smaller than the size we currently use for a passport. Were you going to send me a copy of this document in email? I did send my email address in a PM to you. I really want to see what these looked like. The front page is a great start. Please check your PM! I have sent you my email address. I think the site has tallied my ex emails over the years to 100% and blocked your incoming mail. I have cleared out the old mails. Lets hope thing function now! Subject: Re: Served in Germany 1945-49? In contact with someone who did?